Work/Life Balance? Buddha says I got this Wrong! Seems I had the wrong end of the stick with this one. This is how to really move from your centre. I was talking to one of my students the other day. He’s from Thailand and grew up Buddhist. Anyway, we got around to the idea of Buddha’s middle way, and I was surprised to learn that I’ve had the wrong end of the stick for all these years. 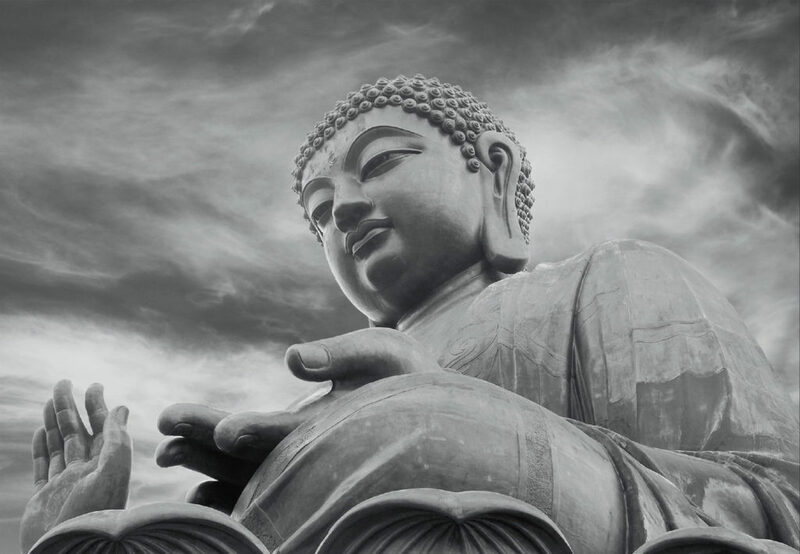 It’s one of Buddha’s most famous ideas, and it was a catalyst in his enlightenment. The story goes he was meditating by a river when he heard a man teaching a young boy how to play the lute. The man said that if the strings were too loose, the instrument wouldn’t make any sound. But if they were too tight, then they would snap. The Buddha realised that he had been living his life too austerely – too tight – and he resolved to follow a middle way, a way of moderation. And so I always thought of this middle way as a third way. When presented with two extreme paths, look for another path, something half way between, but something entirely different. Like the way Tony Blair used to talk about a third way between communism and capitalism (though I don’t think that fad lasted too long). Anyway, the point is, I had it wrong. It’s a mistake to think about the third way being it’s own distinct and unique path. That is, it is not a unique way. It is not something entirely different. It is a way that embraces the essence of both extremes, but holds them in balance, neither giving in to the excesses of one or the other. Kind of like what the ‘middle way’ of tuning an instrument means – it’s not a different way of tuning, it’s a way where the clear sound of tight strings is held in balance with the playability of loose strings. Balance. Harmony. Dolphins frolicking at sunset. I just really like this. I feel like I’ve discovered a little treasure or something. And I feel like often in life we’re looking for that middle way to escape from our extreme tendencies. So imagine you have a tense relationship with someone. You swing between anger and capitulation – between giving them a piece of your mind and just giving up and letting them have their way. There must be another way, you say. There must be another road that can lead me away from these two destructive poles. But this isn’t the way to think about it. We’re not looking to escape down the middle road. Rather, there is a discipline in holding these extremes in balance. To draw what serves us out of each of them – to meet each impulse and to stay strong in what we need and to stay strong in our centre. That’s it. It is the road of staying centred. And I think it is going to happen with whatever we do in life. Everything we do is the product of conflicting impulses: to do what is right by your community vs. being true to your individuality; to nurture your mind vs. nurturing your body; to fill your bank balance vs. filling your cup with entertainment. Our job is not to untangle ourselves from these conflicting impulses. Or swing between one and the other in a way that ‘averages out’ in the long run. Rather, we just hold them. We hold each impulse, drawing what serves us and what is beautiful out of each of them. And then once we are holding them in this way, moving from our centre. It is an art and an art that probably takes some practice. This is what it is saying to me now. But you know, I was wrong before. I’m probably wrong again. Only you know what is the right path for you. Listen to Dymphna, listen to your heart?